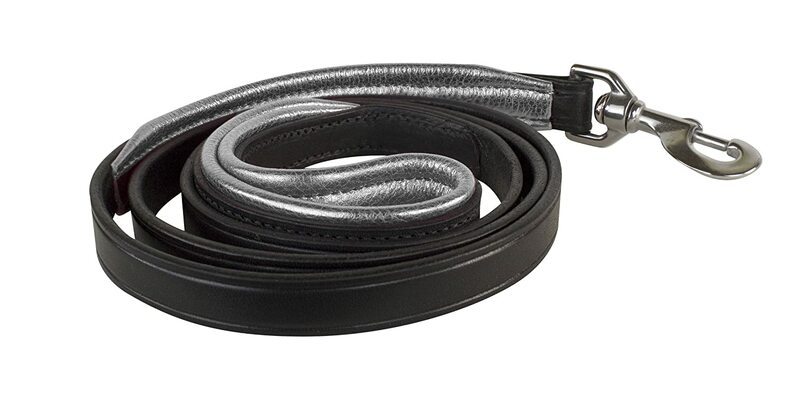 Amish made, soft metallic padded leather dog leash. Matches Perri's padded leather dog collar. Black leather comes with stainless hardware, Havana leather comes with brass hardware. 5' x 1".